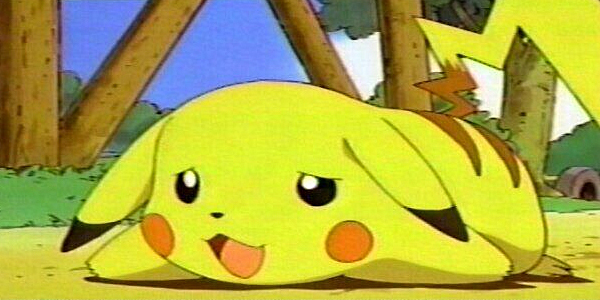 Mascot of the Pokemon games, Pikachu is possibly the worst chosen mascot of anything ever. It is a small, fat, rat-like creature with an uncanny ability to produce large amounts of electricity, which it can use to harm predators/prey/anyone it doesn't quite like. There are many fascinatingly designed characters in Pokemon. From dragons to strange pink blobs to a giant bipedal turtle with cannons on its back, there are literally hundreds of more interesting characters than Pikachu. Yet the yellow rat remains the character most heavily featured on Pokemon merchandise to this day. On some levels it make sense. Pikachu is a sexless colour and is cutesie enough to attract the effeminate type, though not too cutesie to detour a little boy's interest. Saying that, there are plenty of other options with similar universal appeal that could be focused on, so that's not really much of an argument. The key issue is that not only does Pikachu rarely get seen in the games, but when it does appear it's actually pretty rubbish. A dedicated player will be able to get the creature to be mediocre at best. Its attacks are largely unspectacular, usually involving a few sparks or a flash of lighting, and as we've already said its appearance is one of the most univentive designs around (excluding some characters from Pokemon Black onwards).